Jacob is trying to “always remember” the Savior (D&C 20:77). 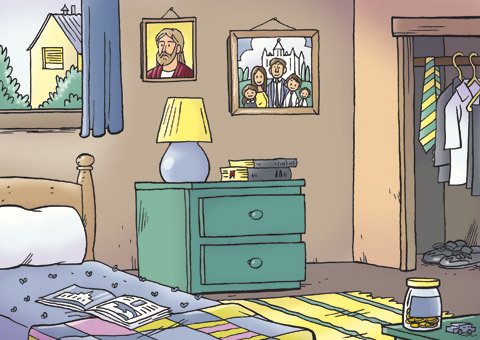 Look around his bedroom. What do you notice that might help him always remember Jesus?